Our society is experiencing a sharp increase in the number of people who suffer from chronic diseases, such as diabetes, heart disease, cancer, mental illness, and autoimmune disorders. Medicine practiced by most physicians is oriented toward acute care, the diagnosis and treatment of trauma or illness that is of short duration and in need of urgent care, such as appendicitis or a broken leg. Most physicians are not adequately trained to assess the underlying causes ofchronic disease and to apply strategies such as nutrition, diet, and exercise to both treat and prevent these illnesses. Integrating best medical practices. 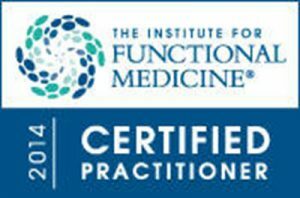 Functional medicine integrates traditional Western medical practices with what are sometimes considered “alternative” or “integrative” medicine, creating a focus on prevention through nutrition, diet, and exercise; use of the latest laboratory testing and other diagnostic techniques; and prescribed combinations of drugs and/or botanical medicines, supplements, therapeutic diets, detoxification programs, or stress-management technique.